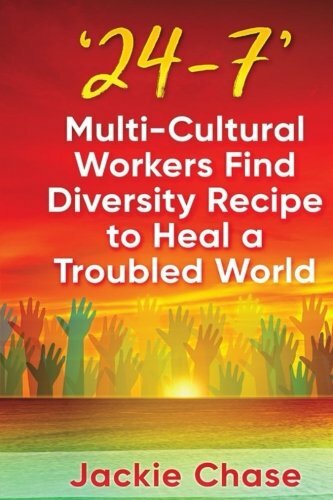 ’24-7’ Multi-Cultural Workers Find Diversity Recipe to Heal a Troubled World contains a series of interviews of workers representing many of the 79 nations/cultures on board the largest cruise ship in the world. The words of the workers contain gems of practical wisdom that shows how respect for others who are different can lead to friendships and a successful workplace mission. You peek behind the scenes of the world’s largest floating resort to see how 79 different cultures work and live together ‘24-7’. Universally relevant stories create an inclusion recipe that celebrates human differences including race, customs, gender, age, religion etc. They open minds to cross-cultural awareness or respect in organizations worldwide. Current technology makes it possible to deliver an eBook to every worker in an organization to enhance its mission and stimulate a widely-shared attitude adjustment that produces success through cooperative creativity. Diversity at work pays creativity dividends for employer and worker. Imagine applying this team-building magic in government, campus, non-profit or business settings!